Op-ed: Can one be an anti-Semite without being conscious of it? To take an active part in one of the world’s oldest and most fatal hatreds, yet to be able to say, with sincerity, that anti-Semitism is odious, not to be tolerated? Is it possible to be an anti-Semite without being conscious of it? To take an active part in one of the world’s oldest and most fatal hatreds, yet to be able to say, with sincerity, that anti-Semitism is odious, not to be tolerated? This isn’t a matter of keeping one’s prejudices so deeply buried that they are largely unknown to oneself. It is a case of being involved in discussions, movements and protests which use anti-Semitic tropes, seeing and reading these and yet not admitting to one’s own conscious mind—or conscience—what they say and what they mean. It is this mystery which surrounds the actions and evasions of Jeremy Corbyn, leader of the British Labour Party. This is one of the older and more distinguished social democratic political creations of the past century and more, with reason for pride in its representation of working people and the poor, of championing of the rights of minorities, of pioneering the institutions of the welfare state and in remaining solidly anti-authoritarian, democratic and, since the last war, an active member of NATO and the United Nations, both of which it played a leading role in creating. Among its other achievements, the Labour Party was an early and enthusiastic supporter of the State of Israel even as it maintained a consistent view that the displacement of hundreds of thousands of Palestinians which that creation entailed should be addressed, both by extending rights to those Palestinians living in Israel and by supporting a two-state solution. 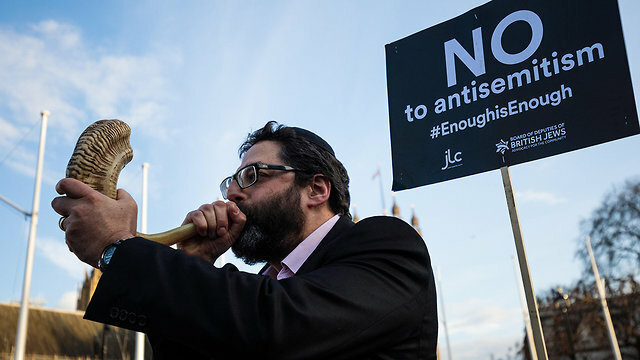 Traditional Jewish support for the party has declined sharply in the Corbyn era—where 30 percent of Jews supported Labour in 2010, only 13 percent of Jews said they would vote for the party in last year’s election. The charges against Corbyn include his support for the militant groups Hamas and Hezbollah, which advocate the destruction of Israel—a support which at first he refused to renounce, then later did. He objected, in 2012, to the removal of a mural in London depicting Jewish bankers plotting to enrich themselves over a Monopoly board placed on the backs of workers; he first said it was on grounds of free speech, then argued that he had not noticed its anti-Semitism (though it’s hard to miss). 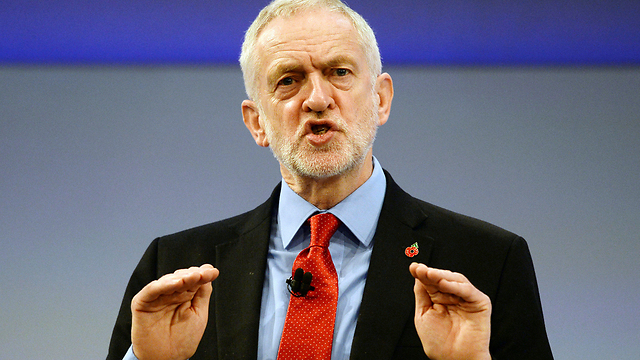 In this past week, Corbyn has been accused of belonging to three Facebook groups which routinely post anti-Semitic messages. The excuses—sometimes contradictory—to all of these have begun to wear thin; hence the revolt of the Jewish organizations. A pattern emerges—of Corbyn, or another Labour official or member caught signaling an anti-Semitic attitude—then apologizing profusely when unable to deny the fact. As Jewish protests mounted against Corbyn this week, one more official—Christine Shawcross, head of the party’s disputes panel, who had supported an apparent Holocaust denier—resigned from the post on Thursday, regretting “the pain and hurt” caused to the Jewish community. 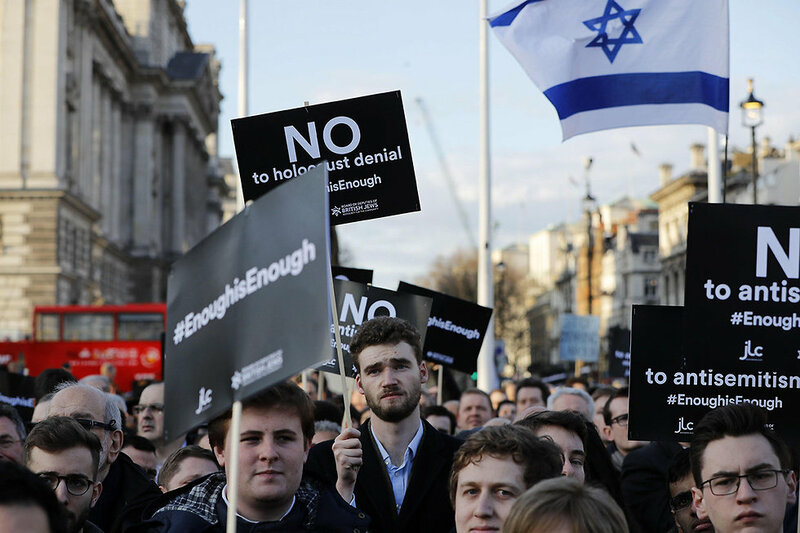 Most surveys show that anti-Semitism is on the rise worldwide. An 85-year-old Jewish woman, Mireille Knoll, who had narrowly escaped the Holocaust, was murdered in Paris this week, less than a year after the murder of another Jewish woman, Sarah Halimi, in the same area. Both murders have been classified as anti-Semitic. The prejudice grew in Italy, which likes to pride itself on its lack of it, during a recent election campaign that focused on immigration and foreigners. Even in the United States, seen by both Americans and Jews as the most accommodating of places, a report saw a sudden jump in anti-Jewish incidents in 2017. Old demons never die. They retire to dark corners, ready to be redeployed at times of insecurity and alarm, when scapegoats are sought. Our world is not the Germany of the 1930s, but nor is it stable and confident. These demons are among the ugliest in our world. That a major politician should, by accident or design, increase their malevolence is shameful. He and his party must cease to treat the issue as a mere nuisance, something cooked up by his critics to discredit him, to be batted away with a few clichéd phrases of regret. It is far too deep and wide for that.